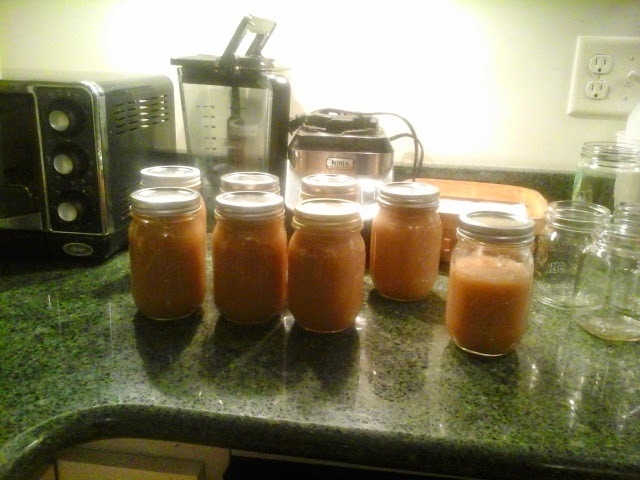 I canned a few jars of applesauce to use up the last of the bushel of late apples from storage. I have been really amazed at how well these have kept. It has been 5 months now, and really only in the last week have I felt they were beginning to get a little grainy. Temps inthe storage room have stayed about 39- 40 degrees, with maybe 50% humidity. There were almost no totally bad ones. They are mostly still perfectly good to eat, just a bit soft. This applesauce has no added sugar, as these apples were wonderfully sweet. (That less than full jar just went into the frig to eat now.). 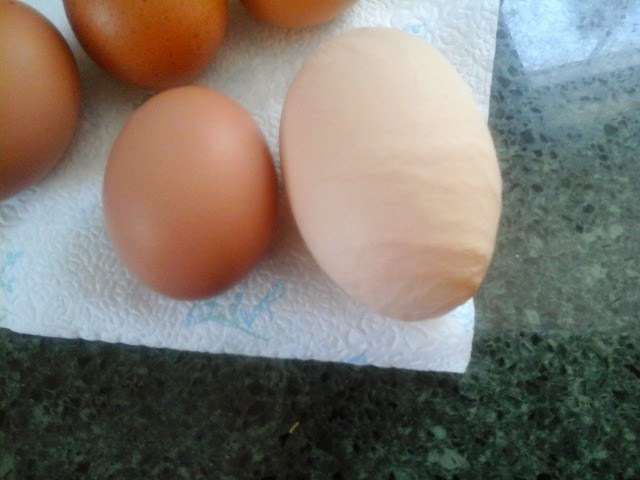 And heres a very strange egg. Notice the size and the wrinkles... I just thought "ouch". It is more than twice normal size! I assumed when I cracked it, that would be a double yolk, but it was not. It was actually something I have never seen before. It was a shell-less, albumin-less egg, inside a yolk-less egg. Thats the only way I know to describe it. You cant really tell from the photo, but the yolk is like that shell-less egg I showed you earlier... it has the inner membrane around it, but not the calcium shell. 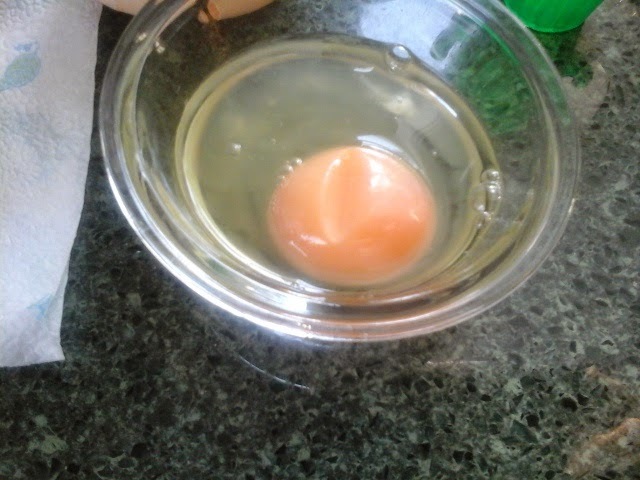 And no "white" (albumin) I dont even know how this could happen, with the production line of the egg making process... Remember, the yolk is formed in the ovary, then travels down where the white is added, then the membrane, and finally the shell, and it exits the hens body. This egg had a yolk, then a membrane, and THEN about twice the amount of white inside a hard shell. And when I punctured the membrane on the yolk, which was so tough it required a sharp knife, the yolk inside was just..... weird... sort of clumpy and runny. It went to the dog. I am pretty sure this is the same hen that laid the shell-less egg. There have been a couple of very thin-shelled eggs. I think she has a malfunction in her reproductive system. And, (no picture, I forgot), I collected about a gallon of sap today. The temps have been too cold to expect much, but next week's forecast is perfect for sap, and that should really get the flow going. I can expect about a gallon per tap per day unless we get another cold snap. Perfect sap weather is 40s daytime, and 20s nighttime. We did a 4 mile race today, and then a 2 hour easy run afterwards. Cold, but sunny, and quite lovely to be out. We both won our age groups, not that they really counted such things. Steve split more wood, I stacked. We picked out any grubs we found and gave them to the chickens. I swear, grubs are like crack for chickens. Now its time to figure out something for supper.